Montgomery Theatre needed some posters for their upcoming plays and here is one that I designed for Bad Dates that ran this past February. I was very happy how this turned out, I always adored the retro look. There are a couple more that I created—Stay Tuned! I was asked to illustrate my client’s daughters playing around in Paris. 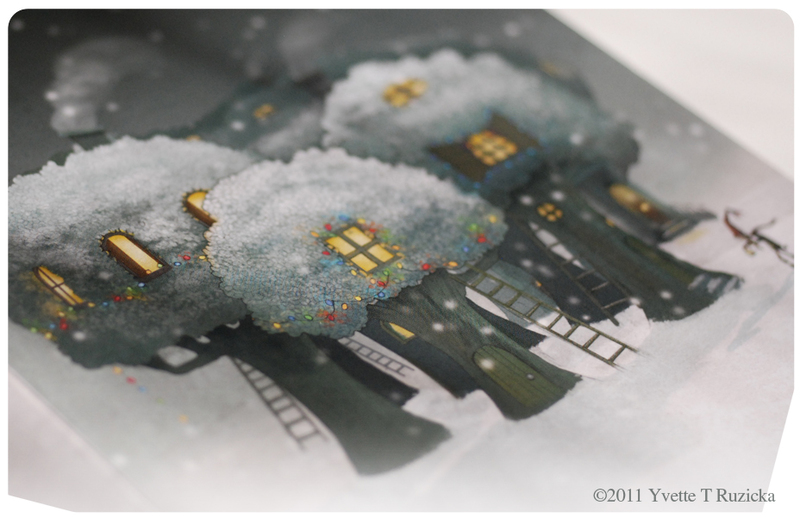 Their dream is to go to France, so in this illustration we created a Parisian world with their loved ones. I hoped I brought a little Paris into their lives. I was happy to design a logo for Marvelous Mealz just recently. Here are some conceptional designs, as well as final. Working with the owners was a pleasant experience, they were open to suggestions and we finalized a nice logo logo for them. Hi everyone. I’m sorry I haven’t been here in awhile. I am keeping busy with my design job and freelance work and mostly spending time with my newborn twins. It has been a very busy year, so I apologize for not keeping up with my posting. I just been so excited preparing for my new babies before they arrived and now that they are here I just so much enjoy spending my time with them along with creating whatever my clients need that I have fallen off the social blogging network. But you will see me here more again! 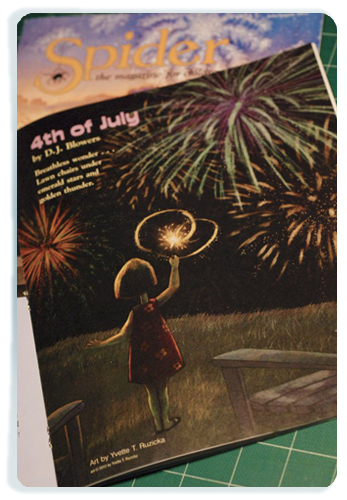 On July/August Spider Magazine published my illustration, theme being fourth of July. It was included with this sweet poem written by DJ Blowers. I was very excited to see my work printed in this magazine. So the year started with some freelance illustrations with children magazine and logos. My husband is a Flying Dutchman sailor and was asked to assist with all the World Championship promotional materials. Competitors will be coming from all the world to USA, since USA will be hosting this year. Very excited to be designing along with my husband for this very big project. 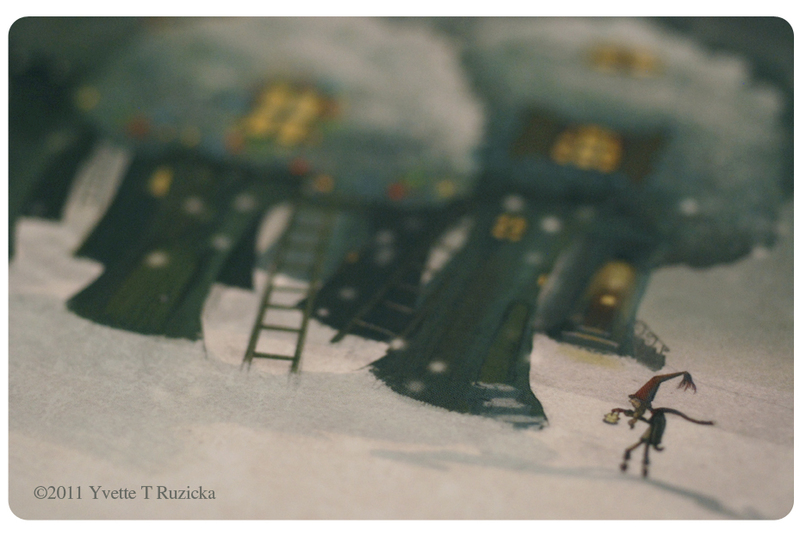 Here are my holiday promo mailers that I sent out earlier this month. What is it with artists and nature. I know I’m not the only one that has noticed this, but a lot of the visual artists that I see has a keen sensibility with nature. Not only do they sketch or paint the outdoors, but some of them are athletes. They run, hike, climb mountains, mountain bike; whatever it is they are drawn to the outdoors. Is it because with visual artists we study everything? How the sun shines through a tree and the shadow it creates, how the light wraps around the trunks, and the cool, contrast shade of shadow it creates, and the colors of its surroundings sits so quietly on the bark. Or how to capture a river flowing on a stagnant page? It goes on forever. Is it because we study it so much we just want to breathe nature, feel the air, smell it, see it, live in it…. with every season, every cloud, every rain? I get a constant question of, what’s my favorite season, i got to say, I like it all. The light and color when the sun rises is different not only each season, but everyday. Now to get myself out there early enough to capture the fog and midst that hovers the lake. …….Nature! Love it!